600 Watts in the palm of your hand. 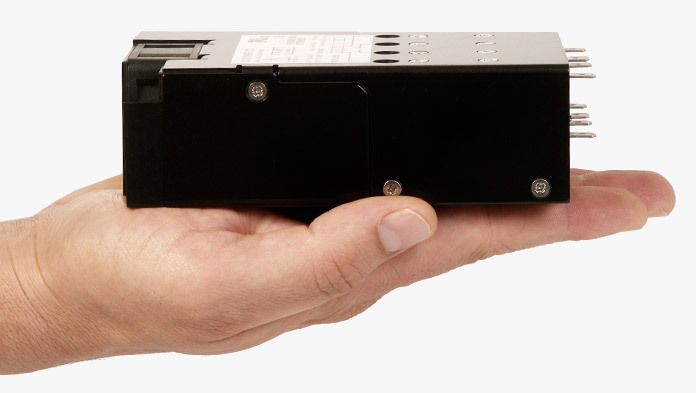 The NEVO+600M modular configurable medical power supply is the smallest in its class and the ultimate solution for demanding medical applications where size, power density and weight matter. Its tiny footprint of 5” x 3” x 1.61” weighs only 600 grams and delivers an incredible 600 Watts – equating to a power density of 25 Watts per cubic inch. The NEVO+600M input module can accommodate up to four isolated output modules which can be configured into a high power 5”x 3” single output power supply or a multiple output power supply with up to 8 isolated outputs. 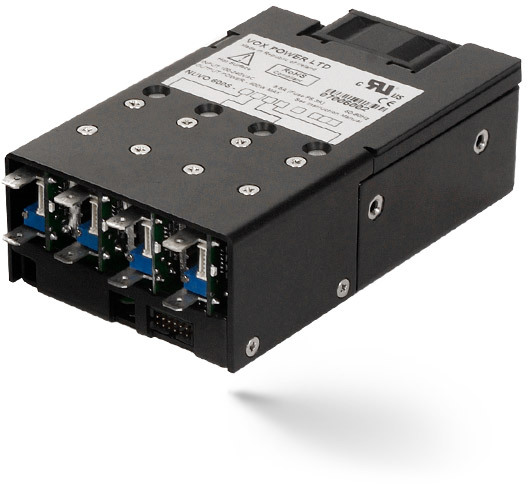 Standard features include intelligent fan control providing optimised airflow for various load and temperature conditions, wide output voltage adjust, parallel and series connection of modules and an isolated 5V 200mA bias supply. A low noise fan option is available that allows you to use this innovative power supply in even the quietest of environments. An optional 5V 1A bias output can also be accommodated when required to add to the host of standard market leading specifications. The series is approved to latest medical standards and features market leading specifications and design in application support. 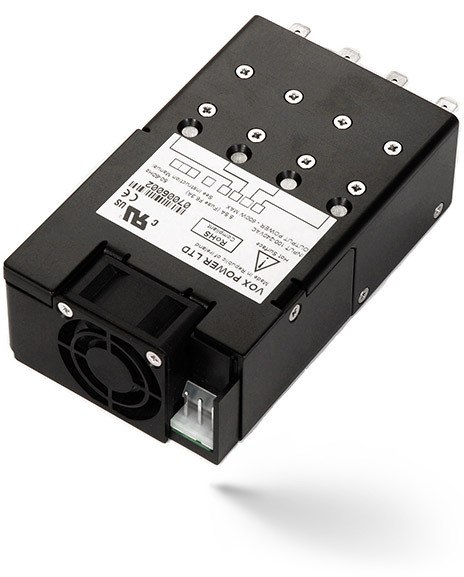 The NEVO+600M modular configurable medical power supply truly offers unrivalled performance and flexibility.